The National Art Center, Tokyo, The Suntory Museum of Art and the Mori Art Museum have agreed to form “Art Triangle Roppongi (ATRo)” and work together to further promote art appreciation - both inside their galleries and beyond in Roppongi as one of Tokyo’s major cultural centers. “Art Triangle Roppongi” is publishing a handy map, which not only links the three museums, but highlights some of the other cultural attractions in Roppongi area. Use the map to navigate your way around Tokyo’s most exciting art area. The map is also available at the Mori Art Museum and elsewhere. “ATRo Saving” is discount ticket system for “Art Triangle Roppongi.” Visitors retaining an entrance ticket stub of an on going exhibition at The National Art Center, Tokyo, Suntory Museum of Art or Mori Art Museum are entitled to a reduced entry price at the other two galleries. 200-yen discount off of admission will be applied to those who show ticket stubs of the exhibition held at the Suntory Museum of Art, The National Art Center, Tokyo and Mori Art Museum when entering the above exhibition. Only “Ticket for Single Venue” stubs of either Mori Art Museum or The National Art Center, Tokyo are valid. “ATRo Saving” applies to exhibitions listed in the Map Calendar only. At The National Art Center, Tokyo there are some exceptions to this offer. Please inquire at reception. Discount applies for one person presenting one ticket stub on one occasion at each of the other galleries. Cannot be combined with any other discount. Exhibition contents and opening hours are subject to change. Please ask each museum for details. With the convenient “Museum Link Pass,” you can explore three of Japan’s most exciting contemporary art museums: 21st Century Museum of Contemporary Art, Kanazawa; Benesse Art Site Naoshima, Kagawa, Okayama; and Mori Art Museum, Tokyo. 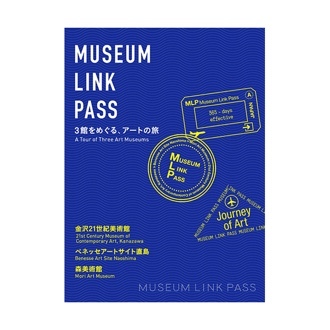 “Museum Link Pass” can be obtained at any of the three museums for free. On your first visit in one of the three museums, staff will fill out the starting date and valid date. You will get one stamp at each museum so collect all of them. Design of the stamp differs in each museum. Group discount rate will be applied. Discount rate and benefits have changed at the renewal in February, 2017. The Pass is not valid for exhibitions at the Mori Arts Center Gallery. The discount is not available in combination with other discounts. For further details, refer to the “Museum Link Pass” distributed at any of the participating museums. For information on opening hours, holidays and exhibitions taking place at other participating museums, please inquire to those venues directly. At Benesse Art Site Naoshima, discount will be applied to one of three facilities (Benesse House Museum, Art House Project, Chichu Art Museum). 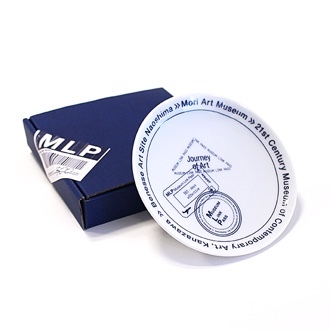 Pass holders who collect stamps of all three museums within the one-year period will receive a special present. We appreciate to complete the brief questionnaire when receiving the present. “Grutto Pass” is available at Mori Art Museum. With the pass, admission for adult to Mori Art Museum will be 200 yen off. Admission includes entrance fee to Tokyo City View observation deck, however, additional fee may be needed in some cases. 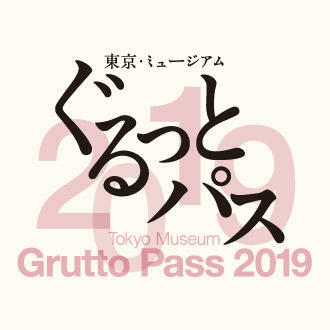 You can purchase “Grutto Pass” at the ticket boxes, information counters of Mori Art Museum and other facilities.